An essay on sustainable graphic design and what it means to me both personally and in my practice. This essay was published in the book, Sustainable. Graphic Design?, alongside my peer's writings on the same topic. 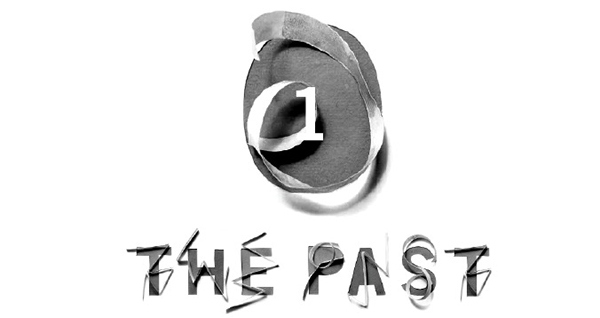 This essay was designed using the typeface Trade Gothic. Section titles and pull quotes use type and images from the Design-A-Day project. I created a different character set each day using a multitude of methods, and each section has a set whose treatment corresponds to the mood of the passage. As a young child living in Michigan, one of my favorite things to do was to help my dad in the backyard. He spent days digging up old tree stumps and planting grass to make room for my two younger sisters and I to play. I would be there to assist him, relocating all of the “Lowlys”—what I called earthworms based off of Richard Scarry’s books. This idea of helping, no matter how small the task or insignificant the thing, carried through my childhood and shaped who I am today. To reach true sustainability, one needs to care about everything around them as much as I cared about the little earthworms in my backyard. I integrated sustainability into my life without thinking about it; it was inherent and natural. Sustainability essentially encompasses three areas: the environmental, the social, and the economical. To achieve true sustainability, all of these areas must be considered. Economic sustainability cannot exist without social sustainability, and neither economic nor social sustainability can exist without environmental sustainability. As a child, my actions focused mostly on the social aspects of sustainability, treating and caring for these Lowlys as individuals. However, my work as a graphic designer told a different story. The content of my work did not always relate to sustainability, but the way I worked was always as sustainable as possible—at least in a very quantitative, economic sense. I was obsessed with materiality, waste, and mathematical calculations. I would take the time to figure out what designs would produce the least amount of waste and save the most money when printed. When making booklets I would save all the trimmings, someday hoping to use the long, narrow strips for some other project. 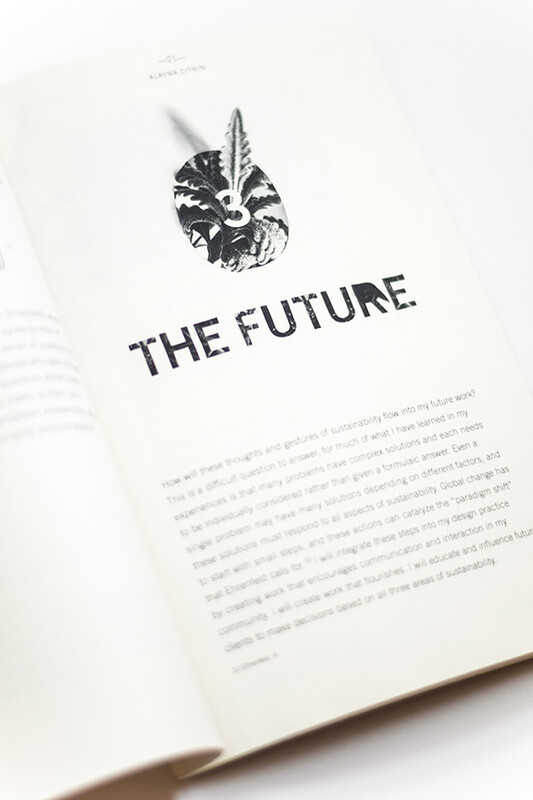 My previous thoughts on sustainable graphic design relate a lot to William McDonough’s and Michael Braungart’s The Upcycle. This book expands upon previous ideas from their book, Cradle to Cradle. Upcycling, as they describe it, is the idea that the materials from an object can have multiple uses after the current object becomes defunct and that these materials will not degrade over time. Rather than creating objects that render the materials useless after the object is used, The Upcycle advocates for the creation of objects whose materials can become part of a perpetual cycle. For example, a house could have a system where water from a shower is “filtered, re-circulated, and solar-heated” so one could theoretically shower in perpetuity with no guilt, rather than saving water simply by taking a shorter shower. I focused on the lifecycle of objects, especially paper. Though I only thought of how to reduce waste, this book gave me new ideas of how waste can still be a useful entity and how it can continue to have a life even after several uses. 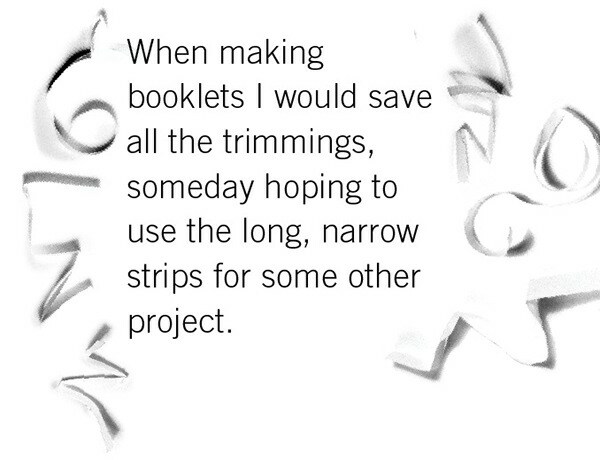 I unconsciously implemented this idea into one of my projects—the resource guide for the graphic design department. I designed the booklet so the pages all fit on an 8.5 by 11 inch sheet of paper and this paper could be cut in half to assemble the book without needing to trim for bleed. The cover was also printed two to a sheet, with the top edges rotating in so there was a bleed on the top and spine without needing trim. The book produced no waste in terms of paper, and was easy to assemble. I have implemented this idea into several projects since. Something The Upcycle asked me to do that I had not tried before was to “make products that easily disassemble with parts that have a specified reusable content.” I have tried to realize this idea was by making buttons out of the old posters for the graphic design department. These buttons are given to visitors and prospective students as a reminder of their visit to MICA. This gives the poster one more life, but nothing really beyond that. 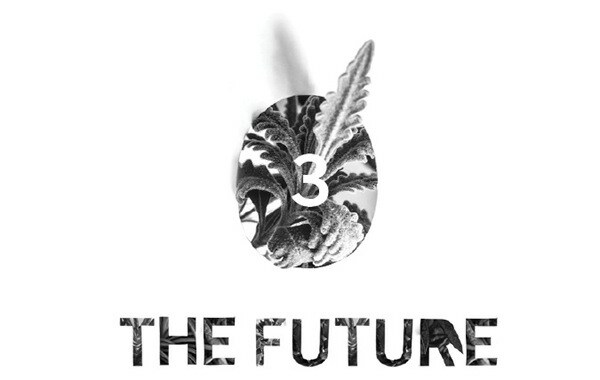 How could a poster be redesigned to create no waste, or to follow a cradle-to-cradle cycle? Is there a way that the materials required to make a poster could be used or transformed in a way that kept them pure in order to use several more times, or to use in perpetuity without losing their original quality? I did not fully realize or address the three areas of sustainability—social, environmental, and economic—until recently. In my design practice, I relegated the social aspects of sustainability to “social design,” an area much harder to quantify than the environmental and economic design concerns. Reading Dipti Desai’s “The Ethnographic Move in Contemporary Art: What Does it Mean for Art Education?” gives us a vision of what social design might mean. He argues that artists have a new role in society departing from previous work in isolation. Now artists are creating and interacting with the world and people around them, making them in a sense “oral historians.” However, Desai asserts that these people are pseudo-ethnographers, for an artist “enters a community for a day or a week, interviews a few people and then makes site-specific art based on that interaction.” Social design is about a designer trying to solve a stranger or group of stranger’s problems without proper cultural or societal knowledge. I felt as if I could help my immediate community more in a single day because I have the information and cultural connections. This article instilled in me a concern with socially oriented projects, and how effective they can really be. John Ehrenfeld’s book Flourishing changed my perception of sustainability and social design. He calls for a paradigm shift in sustainability. 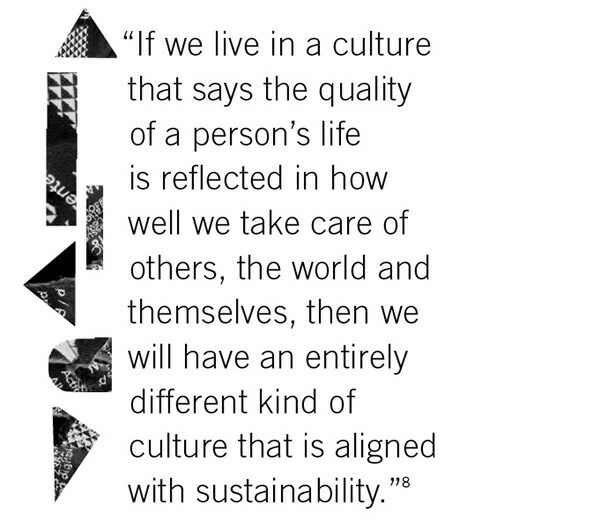 Sustainability, as it has become superficial corporate jargon, now has no meaning whatsoever. Ehrenfeld proposes the term sustainability-as-flourishing, shifting sustainability from defining materials to defining how we act as a people. Sustainability-as-flourishing is “subjective and qualitative,” a part of an experience that cannot be calculated or simplified into quantitative terms. Sustainability is not purely environmentally or economically concerned, and social poverty is equally important. There are many forms of poverty other than economic poverty, such as existential, psychological, and emotional poverty that need to be addressed through design. Flourishing showed me how social aspects of sustainability are not superficial, they are vitally important to sustainability holistically. Systems need to be rethought to “promote fairness, wellness, equality, ecosystem health, and community cohesion.” Perhaps even, completely revolutionized. This is where everything came together for me. This is what was lacking in the social design that Desai described. Caring with a capital C, as Ehrenfeld describes it. One needs to be emotionally invested in what they are doing and the community that is involved in order to make true sustainable change. I have never interacted with a community that Cared as much as the people I met at Shalefield Justice Spring Break in Madisonburg, Pennsylvania. This week long event consisted of workshops, tours, and panel discussions about hydrofracking that culminated in a camp-wide action. I met people from all over the country with a multitude of different backgrounds. The energy of these people here, and the actions they were willing to take to make change was incredibly inspiring. The whole process of the fracking industry tries to exploit people that they see as uneducated or vulnerable, yet I met some of the most intelligent, well spoken, and strong people while at this camp. They Cared, and they got me to Care. These new ideas manifested themselves in two of my projects. First, Sustenance, a concept for a sustainable restaurant that I am currently branding, evolved with the changes in my view on sustainability. I previously tied in concepts with Sustenance dealing with waste and economics. The menus are printed to not waste any paper; the takeout containers are reusable and part of a program where customers pay a deposit and get a refund when they return the container. However, these ideas do not address the social aspects of being in a restaurant. To do that, I thought I would create a seed-sharing program where customers buy cards with seeds from Sustenance’s rooftop garden. These cards have seeds embedded in them, and recipes printed on top as examples as inspiration for what can be made once the food grows. The restaurant’s website has simple recipes and a database for searching what food one can make based on what ingredients are seasonally available. Customers can purchase jams, pickles, and other items from the restaurant in its small market, and also buy select goods from local farmers who provide ingredients for Sustenance. Sustenance encourages people to buy locally and support the people around them, as well as to understand and be educated as to why this is important. Additionally, our Sustainable Graphic Design class tackled this situation when we started designing a hallway exhibition. The graphic design department at MICA has five large boards to display student work, and we reserved these boards for two weeks to install a project relating to sustainable graphic design. Initially inspired by The Upcycle, we researched and studied what materials can be constantly recycled or upcycled from Steelcase’s Think Chair, and what sorts of stories these materials could tell through their use. We showed how the aluminum in the chair could be recycled into things such as golf clubs, toasters, and beer cans in perpetuity. This is what I thought sustainability was about. Yes, this is a part of sustainability, but it does not encompass everything that goes into it. It lacked a human element. After rethinking our definition on sustainability based on Ehrenfeld’s words, our theme shifted from one of calculations and precise cycles to more of a gesture or a thought. Our class asked through a series of questions for our community, the graphic designers of MICA and people who pass through the department, to take a moment and Care. Our questions asked them to consider the three areas of sustainability, why they matter to them, and what they will do to sustain them. This project completely evolved from where it began. Though in materials it still incorporated some previous aspects of sustainability: the content flourished. How will these thoughts and gestures of sustainability flow into my future work? This is a difficult question to answer, for much of what I have learned in my experiences is that many problems have complex solutions and each needs to be individually considered rather than given a formulaic answer. Even a single problem may have many solutions depending on different factors, and these solutions must respond to all aspects of sustainability. Global change has to start with small steps, and these actions can catalyze the “paradigm shift” that Ehrenfeld calls for. I will integrate these steps into my design practice by creating work that encourages communication and interaction in my community. I will create work that flourishes. I will educate and influence future clients to make decisions based on all three areas of sustainability. Social design, sustainable graphic design, or whatever you prefer to call it, does not have to be a huge gesture or work of art, but small, thoughtful actions that bring a community together and respond to the true needs of the people. There is incredible value in properly considering all the aspects of sustainability—the social, the economic, and the environmental. 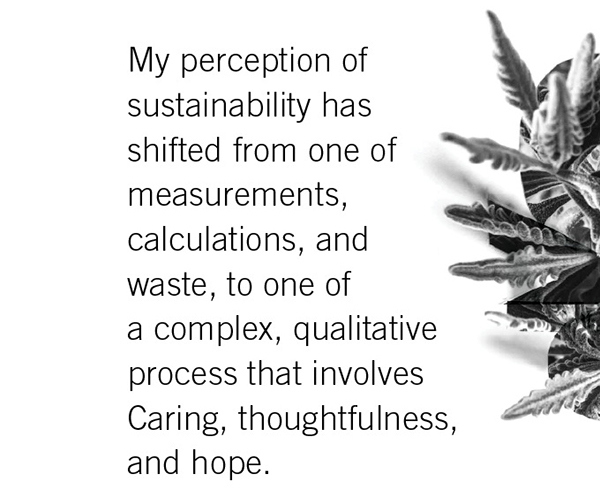 My perception of sustainability has shifted from one of measurements, waste, and calculations to one of a complex, qualitative process that involves Caring, thoughtfulness, and hope. It seems my childhood self had this already figured out. Here’s to rescuing the Lowlys.